Bring a real sense of class and quality to your garden with some of these amazing stones. Purestone Antique Sandstone Setts add a warm texture and give an olde world cobble appearance to complement our Purestone Antique Sandstone range. Available in Glendale only. Number per square metre includes nominal joint width of 15-20mm. Dimensions are approximated due to natural variation in the product and processing. Thicknesses may vary between 30-45mm. Bradstone Oldtown paving this is a stylish grey paving stone. It will look bright and cheerful in your garden, in a sundrenched corner, or light up a less sunny area of the garden. The inspiration for this stone, comes from old weathered York flagstones. It is a very pleasing stone to look at, and it is also easy to lay. The Old town patio feature kit contains enough stone for 6.4 m². You can lay it in two different random patterns, and it comes with full laying instructions. Bradstone, Old Riven Paving comes in several different colours. It is an economical and realistic alternative to proper stone. The colours are Autumn bronze, Autumn Gold, Autumn Cotswold, Autumn Silver and Weathered York. The last several different options of pack. They all have a circle kick, are squaring off kit and then packs of different sized stones. The circles are in different sizes in the front colours so please check the colour you are interested in to see what size the circle kit is. The Autumn Gold colour is a very warm colour that would suit many gardens. It would complement a wide variety of planting from greens to plants with yellow and gold leaves. The Autumn Cotswold colour is likened to Cotswold stone, this is also very warm effect although slightly darker than the Autumn Gold. 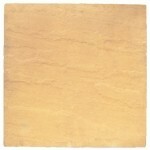 Which ever colour you choose, this product is a good-looking alternative to natural stone. It is very reasonably priced, and you will find this means you may be able to do more paid in your garden than you thought. There’s so many wonderful ways of using stone within your garden – you’ll find some inspiring ideas here at Simply Paving. Creating hard landscaping in your garden is a useful and practical way of making it more accessible, as well as making it more interesting. By adding pathways, paved areas, even walled beds, you add interest and variety to your garden. You can pick from different types of stone, in different colours and styles. You can mix and match within your garden, picking out the stones you like to see. 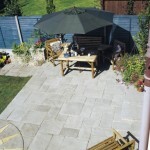 If you have been planning the paved area in your garden then you will be very impressed with the range of paving stones and designs available from simply paving. There are circular paving kits, which are stunning and available in a variety of size stones as different types. This allows you to create a unique feature within your garden, picking the colours and stones that you like to make the feature very personal to you. With the proper paved seating area, you can then enjoy your garden all year round, it’s somewhere to place the chimera and chairs, so you should pick the sunniest part of your garden that you would like to sit in. 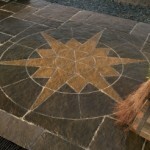 Shop online at Simply Paving for some stunning paving. Take care planning where you don’t put your seating area, think back to the summer and where you actually liked sitting, whether you like the shade or the sun. Make the area big enough for everything you want to do. If you want a barbecue area and is sure you have room for this as well. If you just want the seating place the chairs and a table, then bear this in mind when picking the size you want. You can build flowerbeds with brick walls. By adding variations of height into your garden you will add interest, and you can then use different planting in a raised bed. For instance you can then use trailing plants, which normally would only use the hanging basket.